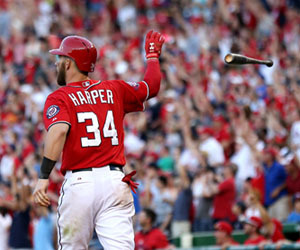 One of the quickest ways to MLB betting riches is to find clubs that excel on the road. Not only are these teams usually consistent from game to game, but their moneyline odds hold a ton of value as oddsmakers discount their prices away from home. The Rockies are better known for their home-field edge in the thin air of Coors Field, but for the past two seasons Colorado has been a cash cow outside of that altitude. Last year, the Rockies wrapped 2017 with a 41-40 record on the road but made those wins count, earning +11.05 units for MLB bettors. The club is on a similar pace in 2018, earning just under eight units so far this spring. The Rockies own a 3.40 ERA in the role of visitor, but watch that number balloon to 5.78 inside homer-friendly Coors Field. That’s a difference of more than two runs per game, so it’s easy to see why the Rox are rolling in it on the road. 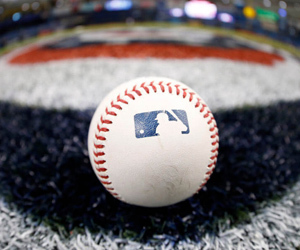 Colorado bettors have also been the beneficiaries of some meaty moneylines as well, with the Rockies playing – and beating – quality home teams like Arizona, Chicago, Pittsburgh, and Washington so far. The Halos entered the 2018 season as one of the most hyped clubs in baseball, thanks in large part to the signing of Japanese sensation Shohei Ohtani. Los Angeles hasn’t been great in front of the Anaheim crowds, but has exploded away from La-La Land with only two losses on the season. The Angels are actually down more than three units at home but have erased those debts with almost 10 units returned on the road. Los Angeles is crushing the ball in opposing ballparks, plating an average of 5.93 runs per away game and hitting .285 BA in enemy territory. On the hill, L.A. has a bulky 4.90 collective ERA at home but slims that to 2.99 ERA on the road. Now, Los Angeles has beat up on some weaker host teams like the Royals and A’s, but recently took two of three in Houston and have five straight on the road starting this weekend, at Minnesota and Colorado. The Rangers aren’t among the Top 5 road teams in the bigs, but it’s the difference in returns between home and away that draws our focus. Texas is a dismal 5-12 in Arlington and has already blown through -6.23 units as a host. However, away from the Lone Star State, the Rangers are an even 8-8 and up more than 5.5 units for baseball bettors. So why such a difference in the home/away splits? The Rangers’ slow start has their road moneyline prices reaching +150 and higher on a nightly basis, and they’ve stacked some major profits as sizable moneyline dogs in the past week after taking games at Cleveland and Toronto. Offensively, Texas isn’t showing much uptick in either role but has a 4.21 road ERA compared to 5.59 ERA at home, which ranks dead last in the American League. That’s been enough to make money for loyal Texas bettors. The Rangers aren’t on the road until the middle of the month, when they go on a nine-game away swing to Houston, Seattle and Chicago.